A week of the spiritual journey starts from Delhi. Proceed to Chandigarh by road. It is around 5-6 hours excursion to Chandigarh. En route, visit Mata Mansa Devi Mandir near Majra. This temple is the holy abode of Manasa Goddess. Devotees horde this place to the tie a threat around the tree as it is believed that wishes of people come true by doing it. Arrive at Chandigarh and check in at the hotel. After taking bit rest, go for city tour. Overnight stay at the hotel. Proceed towards Shri Nainadevi Temple in the morning. This temple is positioned on hilltop in Bilaspur District. You can reach the peak of hill by following the concrete stairs or using cable car facility. This cable car facility is highly famous among the pilgrims. This temple is considered holy and several mythologies are also linked with it. Afterwards, drive to Chintpurni. This drive take 4-5 hours from Chandigarh to Himachal. Head towards the beautiful hill station of Dharamshala in morning. It takes around 4 hours of drive. 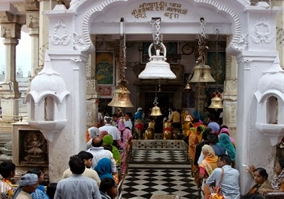 Stop by to visit Mata Jwala Devi and Brijeshwari Temple at Kangra on the way. 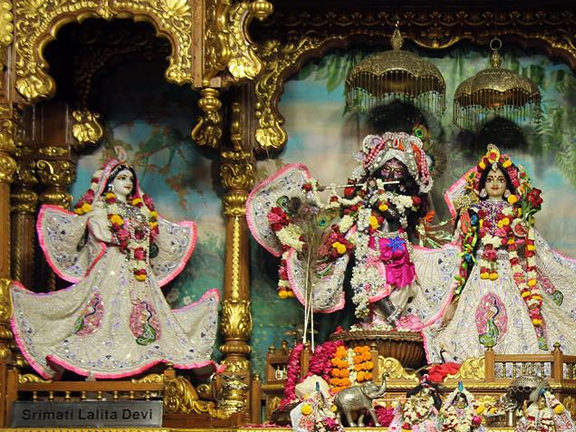 Jwala ji Shrine is renowned for its exquisiteness. Brijeshwari Temple is popular for its elaborated fabrications along with the rich rituals performed there. Later on, continue the journey to Dharamshala. On reaching, check in at the hotel. Overnight stay in the hotel. Visit Golden Temple in the morning. Later, leave for Delhi. It is a 78 hours of drive to reach Delhi from Amritsar. Reach the railway station/airport.